We have multiple children discounts and annual Single Payment discount. Please contact the school for details. The application fee is non-refundable. This fee is payable when the student’s application is submitted and required prior to the evaluation by the Admission Committee. The fee is a one-time mandatory fee that is dedicated to building project loans, construction, repairs and maintenance cost for school facilities. Once the semester has begun, no refund will be reimbursed. Refund is given before school starts. This is an annual fee that is used for providing various online educational platforms, WiFi, and technology related equipment. 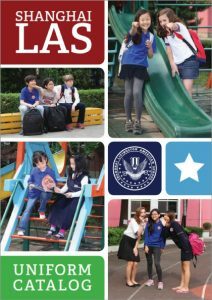 There is a door-to-door school bus service program run by Shanghai Livingston American School. The cost per student for each semester is RMB 7,400 within 15KM, and RMB 8,400 for over 15KM. SLAS each day provides a warm lunch and two snacks for Early Years students and one snack for elementary students. The prepaid daily fee for this service is RMB 28. Payment should be credited to our bank account or should be made by USD, RMB check or cash. If you choose bank transfer, a copy of the bank remittance together with the child’s name should be forwarded to our office. If you choose to pay in USD, the exchange rate will be calculated at the current bank exchange rate.Should you require further assistance, please do not hesitate to contact us at Tel: (8621) 6238-3511 / 5218-8372. All fees must be paid on or before the first day of term. Students may only attend school if the fees are paid. SLAS reserves the right to change fees without prior notice.